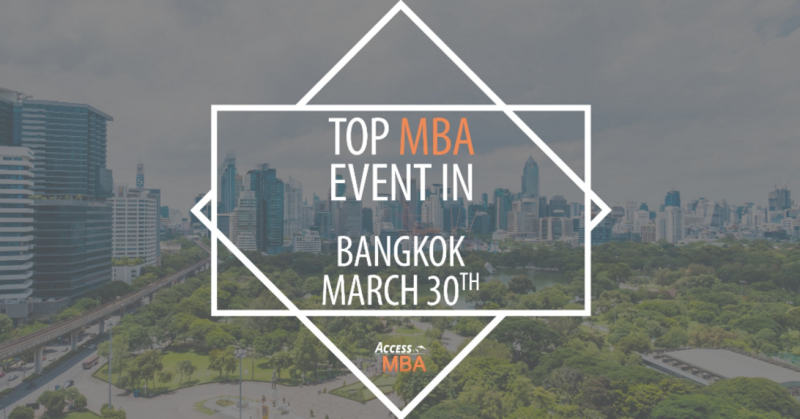 We would like to invite you to meet in person with some of the best business schools in Europe, America, and Asia attending the Access MBA Event in Bangkok on Saturday, March 30th. An MBA that really fits you will enable you to reinvent your potential and make the difference you always wanted in your career. HEC Paris, Duke University – The Fuqua School of Business, Singapore Management University, Manchester Business School, Rotman School of Management – University of Toronto, ESSEC Business School and others. + Win a trip to the campus of your choice! You received this email because you have been in contact with us in the past.